In their ongoing efforts to provide effective early childhood education and supports that prepare children to succeed in school, the W.K. Kellogg Foundation funded a five-state study to find out what the legacy of their Supporting Partnerships to Assure Ready Kids (SPARK) project was. SPARK, which ended two years ago, did not provide direct educational services, but rather looked at ways to get all the major parties working in this area to collaborate and leverage resources. 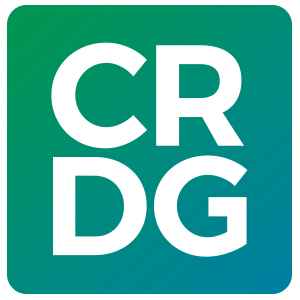 As a partner in the SPARK project, CRDG worked with the Kellogg Foundation, the Institute for Native Pacific Education and Culture, the Kamehameha Schools, the Good Beginnings Alliance, and the Hawai‘i Department of Education to improve the transition from home to school for children aged three to seven. As part of the current study, entitled Ready Kids Follow-up (RKF), CRDG is conducting longitudinal studies of SPARK participants to determine whether the interventions had a significant impact on children’s school readiness and subsequent success. Participants (both SPARK beneficiaries and non-SPARK beneficiaries) are evaluated using the Bracken Basic Concept Scales, the Pre-kindergarten Behavior Scale, the Individual Hawai‘i School Readiness Assessment, and a mock report card. Initial results in Hawai‘i are showing a benefit from the children having participated in SPARK and in the sustained SPARK initiatives.